1.All that might be used is that in addition to the two required ports of SDA and SCL, the ints and COT that might be used are also cited. 2.Spare battery: when the system is out of power, the backup battery will power PCF8563 chip, PCF8563 low power consumption, and ensure that the battery can be used for normal power supply for ten years. 3.Crystal vibration: the new original original product crystal vibration, guaranteed the chip PCF8563 stable, accurate time. 4.The advantage of the chip itself: in the actual project of the shop owner, a variety of clock chips have been applied, and it is 5.found that this chip of philips is the most stable, the most accurate and the lowest power consumption. Clock chips such as DS1302 are too weak to recommend PCF8563 clock chips. It can be powered by a spare battery. 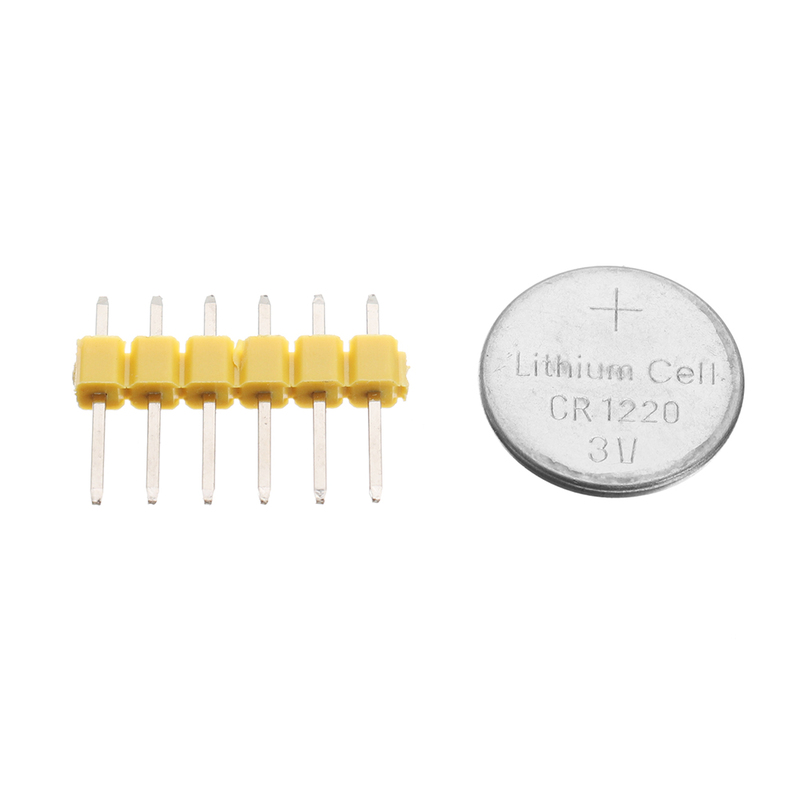 Wide voltage range 1.0~ 5.5v. Ultra low power consumption: a typical value of 0.25uA. Through the I2C bus serial input/output. The output frequency of the programmable clock is 32.768khz, 1024Hz, 32Hz, 1Hz. There are four alarm functions and timer functions. It contains reset circuit, oscillator capacitance and power loss detection circuit. To open the leakage interrupt output. The SCL IIC clock interface is connected to the single chip computer IO port. SDA IIC digital interface connected with single chip microcomputer IO port. The GND module is externally connected. 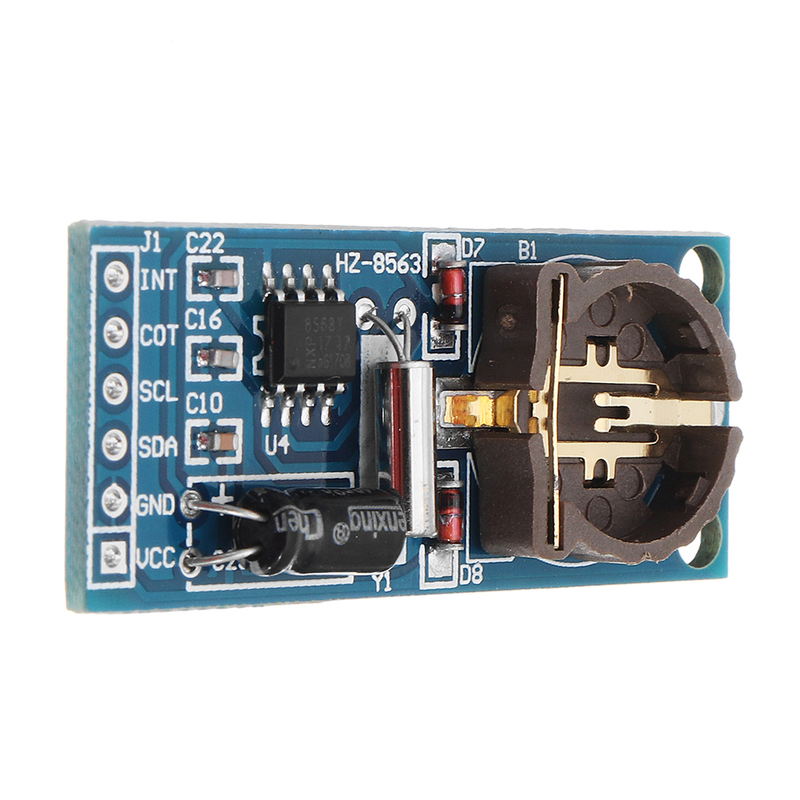 VCC power interface external to 3.3v-5v.